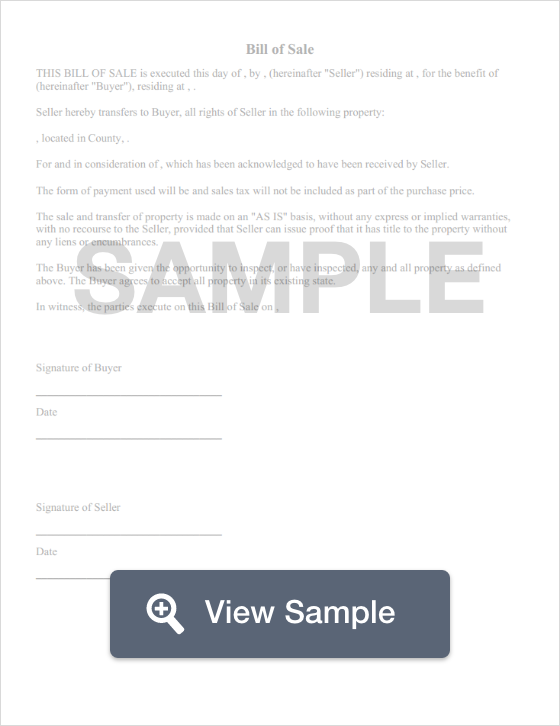 Create a legally binding Ohio Bill of Sale with our attorney-drafted template! What Is an Ohio Bill of Sale? An Ohio bill of sale is a document that acts as proof of ownership when an item is sold. A bill of sale in Ohio does not need to be notarized. What Are Some Common Bills of Sale Used in Ohio? The most common bills of sale used in Ohio are the general bill of sale, a bill of sale for a motor vehicle, a bill of sale for a boat, and a bill of sale for a gun. How Do I Write an Ohio Bill of Sale? You can write your own Ohio bill of sale as long as you have a little bit of information. A bill of sale acts as proof of ownership for your personal records. Once it is completed, both the buyer and the seller should keep several copies for themselves. The main difference between the most commonly used bills of sale in Ohio is in how items are described. So, first you'll learn about the information you put into every Ohio bill of sale and then you'll learn about how to properly describe the items. The date the bill of sale was created. This goes at the top of the bill of sale. However, if the buyer will pay on a different date, that date should be included in the terms of sale. The legal name and physical address of both the buyer and the seller. A description of the item being sold. The terms of the sale. If the item is a gift, that should be designated in this section. If the item is being traded, you should describe the item being received during the trade. For money, you should list the amount in words and then in numbers. For example, three-hundred and eighty dollars and no cents ($380.00). A seller's disclosure. A seller's disclosure does two things. First, it explains whether the sale is "as-is" or if there is a warranty. 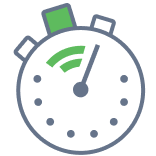 Second, it alerts the buyer to any known defects the item may have. Signatures of both the buyer and the seller. The signatures should be dated. A serial number, registration number, or model number. This is optional since not all items have this information. The make, model, and year of the item if it is applicable. The color, size, or material the item is made from. For example, you might describe a ring by the material of the band, its size, and the stone and its size. Odometer reading and whether it is the actual miles or if there is an odometer discrepancy. Any other descriptive factors that could be used to help identify the boat. It's important to clearly describe the type of boat because while Ohio does not require all boats to have a title, the State does require every boat to be registered. This includes canoes, paddle boats, inflatable boats, and more traditional boats. If the gun is involved in a trade, the traded item should be clearly described. Is an Ohio Bill of Sale Required to Register a Motor Vehicle? No, an Ohio bill of sale is not required to register a motor vehicle. You will need to complete the assignment of ownership portion located on the back of an Ohio title. You'll also need to verify the odometer and complete an Application for Certificate of Title to a Motor Vehicle. Is an Ohio Bill of Sale Required to Register a Boat? While an Ohio bill of sale is not specifically required to register a boat, you do need proof of ownership. An Ohio bill of sale acts as proof of ownership for a boat. The documents you'll need to produce will depend on the type of boat you're registering. Ohio State Parks & Watercraft encourages boat owners to contact a watercraft office to learn about what they'll need for the registration process. Is an Ohio Bill of Sale Required to Register a Gun? No, an Ohio bill of sale is not required to register a gun. Guns are not registered in the State of Ohio unless one wishes to become licensed to carry a concealed weapon. Create a free Ohio Bill of Sale in minutes with our professional document builder.